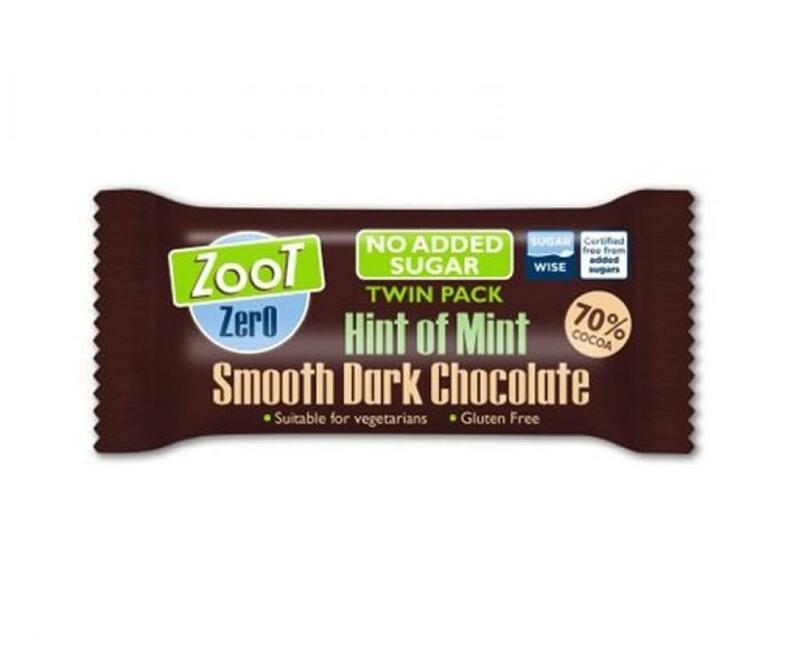 Zoot Mint Smooth Dark Chocolate Twin Pack. Great tasting premium chocolate with no added sugar and designed specifically to help you reduce your sugar intake. This has been certified free from added sugar by Sugarwise.